We took a lovely drive along the East Cliff on a beautiful sunny day, staring out at the beach, enjoying the journey that takes us straight to the Ventana Grand Café situated in the Cumberland Hotel. We were greeted by a team of friendly staff who showed us to the table, I have to note how comfy the chairs were, encouraging you to have that leisurely lunch you surely deserve! 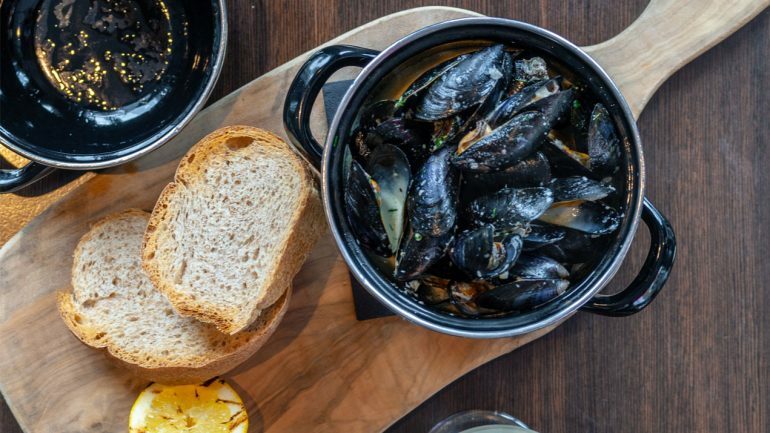 We look around us at the unique décor and admire the combination of art deco luxury and contemporary style and settle down to look over the menu, there really is nowhere else quite like this! For mains the chef’s special Pork Belly seemed to disappear in the blink of an eye, accompanied by a smooth creamy mash it was deemed to be mouth watering. The Sirloin Steak was ordered rare and declared to be “cooked to perfection”, served with a peppercorn sauce that packed a bit of a punch. 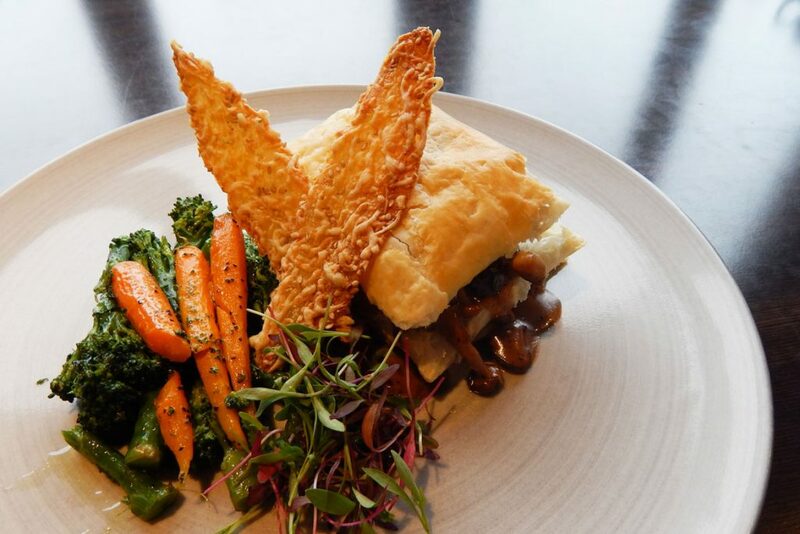 The New Forest Wild Mushroom Open Pie came out not as expected, constructed of layers of mushrooms and glazed butter puff pastry with a parsley veloute it looked more like a piece of art, which we quickly destroyed, the pastry was light and melted in the mouth, there was not much left over for anyone else to try! By this point we were all set to burst, but we thought it would be rude not to sample a dessert or two. 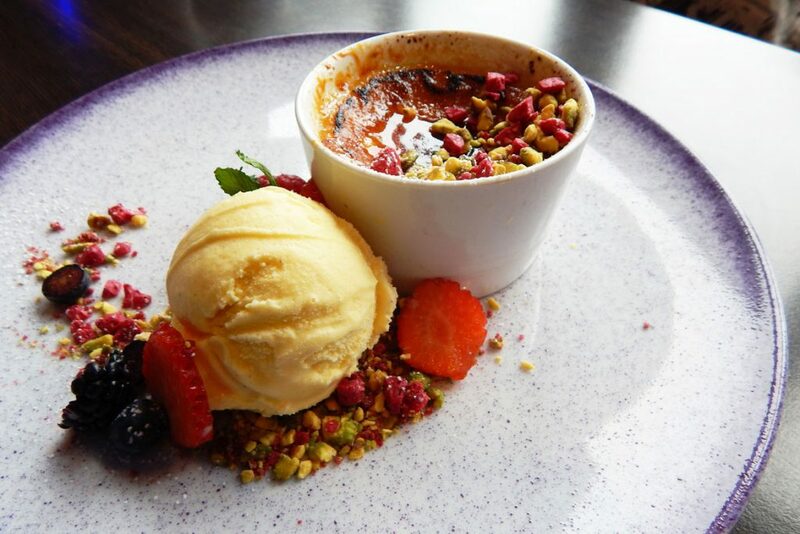 Our Crème Brulee connoisseur was intrigued by the unique twist of using rose water, it added a new dynamic to this much-loved dessert, we recommend you give it a go for yourself! The star of the desserts however had to be the Sticky Toffee and Date pudding, which had all of our spoons casually creeping towards it. Served with butterscotch sauce and salted caramel ice-cream the flavours just explode in your mouth, I will definitely be ordering one all to myself next time I come here! 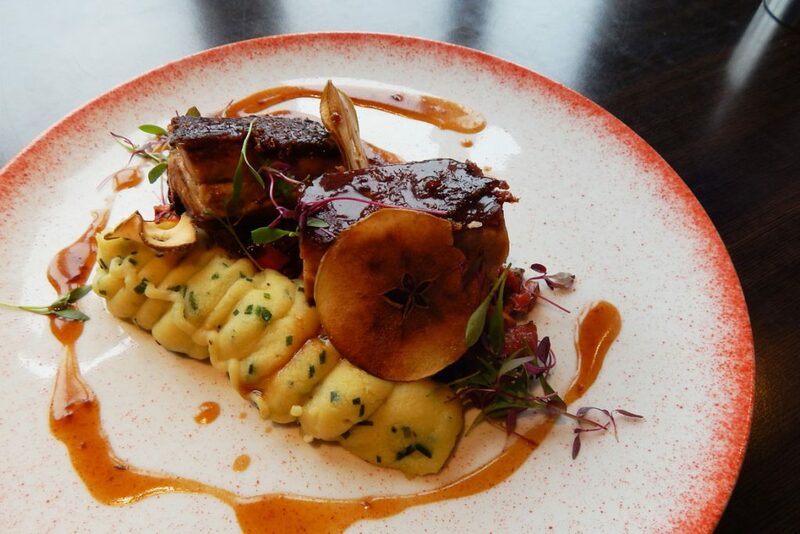 Whether you are looking for a relaxing drink, leisurely lunch or evening meal we recommend you head on over to Ventana Café and sample the delights for yourself!